What’s New for Acura from the Chicago Auto Show? This year at the Chicago Auto Show, which ran from Feb. 9 – Feb. 18, Acura unveiled its upcoming 2019 Acura RDX. Redesigned for next year, the new Acura RDX plans to take its inspiration from the Acura Precision Concept, bringing both the vehicle and the brand into the future. FInd out how it can impact your future drive around Dix Hills at Acura of Huntington. Starting in 1901, the Chicago Auto Show is the largest auto show in North America, displaying vehicles from several automotive brands across the world, including Acura. From concept cars to supercars, the auto show demonstrates the best of the best. 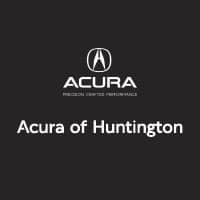 The Acura A-SPEC package will also be available on the 2019 Acura RDX, making it a great choice for Huntington drivers seeking a luxury vehicle. With all of the new information from the Chicago Auto Show, Acura seems to have a bright future ahead. FInd out how it can impact your future drive around Dix Hills at Acura of Huntington. In the meantime, be sure to check out our many current Acura RDX models available. Looking for an affordable alternative? Explore our lease specials, and if you have any questions, be sure to contact us.